New Mexico game commissioners in a unanimous vote today [Thursday] denied a ranch’s appeal for a permit to house and breed Mexican Gray wolves for release in the wild. Their permit was originally cancelled last spring. Michael Robinson of the Center for Biological Diversity told the Albuquerque Journal that commissioners invited Ted Turner’s Ladder Ranch to apply for the permit again. The state Game and Fish Department and the U.S. Fish and Wildlife Service have butted heads over the future of wolf reintroduction in New Mexico. For the past seventeen years, the Ladder Ranch raised wolves for a federal endangered species recovery program. State game commissioners may reinstate a permit for a ranch that prepares endangered wolves to be released in the wild. Ted Turner’s Ladder Ranch has housed and prepared Mexican Grey wolves for release by the U.S. Fish and Wildlife Service for nearly two decades. But state game commissioners canceled the ranch’s permit last year saying they had concerns about how wolves were raised there. Commissioners also want to see an updated federal recovery plan for the species. The Ladder Ranch is proposing to release only wolf pups two months old or younger to the federal officials in order to address the commissioners’ concerns about wolves killing livestock. Wolf advocates plan to rally Thursday morning in support of the ranch’s appeal. The State Game Commission meeting begins at 9 am at the Santa Fe Community College Boardroom, 6401 Richards Ave., Santa Fe. The rally begins beforehand outside the boardroom at 8 am. 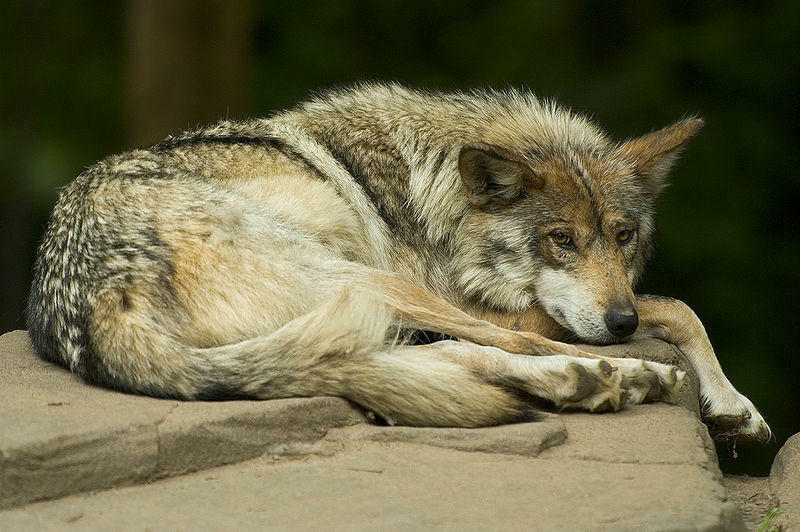 The future of the endangered Mexican gray wolf remains precarious in New Mexico. The state game commission denied a federal appeal to release wolves in New Mexico on Tuesday. UPDATED 8/28: The state Game Commission has voted unanimously to approve the expansion of cougar and bear hunting in New Mexico. The vote came Thursday during a meeting in Santa Fe that was attended by dozens of wildlife advocates who voiced concerns about the proposal. The new rules will allow for more black bear hunting in all but two of the state's game management districts as well as the doubling of cougar hunting limits. The trapping and snaring of cougars on private land and state trust land will also be allowed without special permits. The Game and Fish Department says new population data warranted an update of the hunting limits. Critics argued that the department's plan wasn't based on science and that more hunting will have negative long-term effects on animal populations. 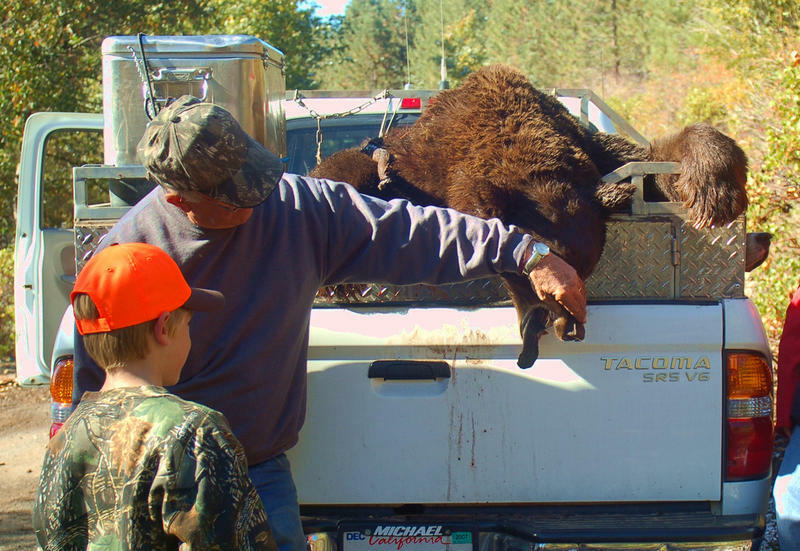 The State Game Commission is considering several controversial new rules, including one that would allow hunters to kill 25 percent more bears in New Mexico. Wildlife conservation advocates are planning to protest at the commission meeting on Thursday in Santa Fe. At issue is how to interpret the state’s bear density study.